The majority of the event will last into next year so there will be plenty of time to celebrate! There is also a special celebration that lasts for three days people who applied have a chance to attend. 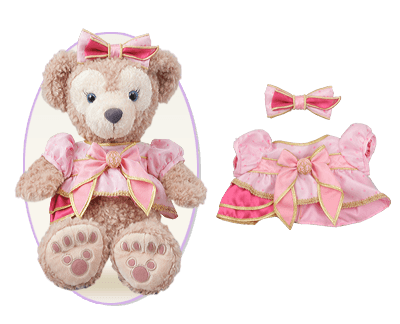 One of the really neat things at the event will be that you can purchase older Duffy costumes that have released over the years. I just think it looks great. And I love these kind of “Adventurer Journal” things. 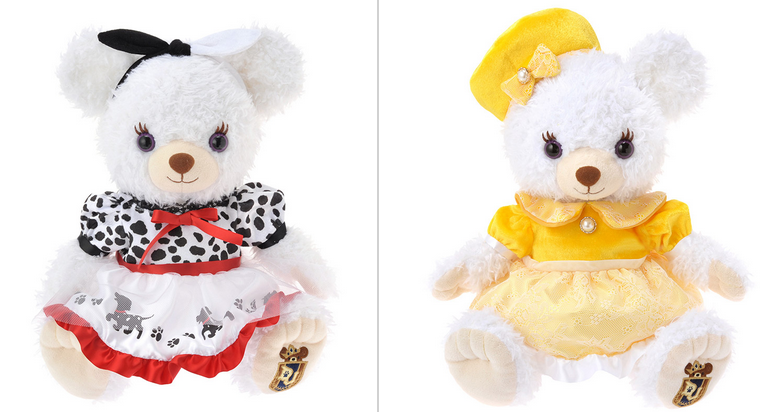 Both outfits are 3,800 Yen each (and are sold by themselves–Duffy and Shellie May are not included!). 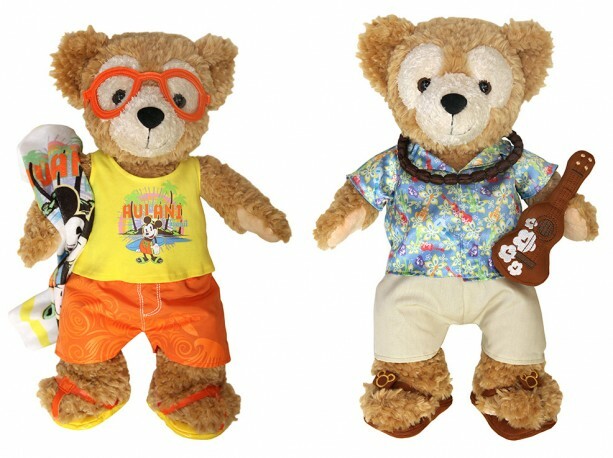 These are also the outfits Duffy and Shellie May will be wearing while out and about in Cape Cod so be sure to say Hi to them! I’d recommend checking our their Facebook page to look at it all. 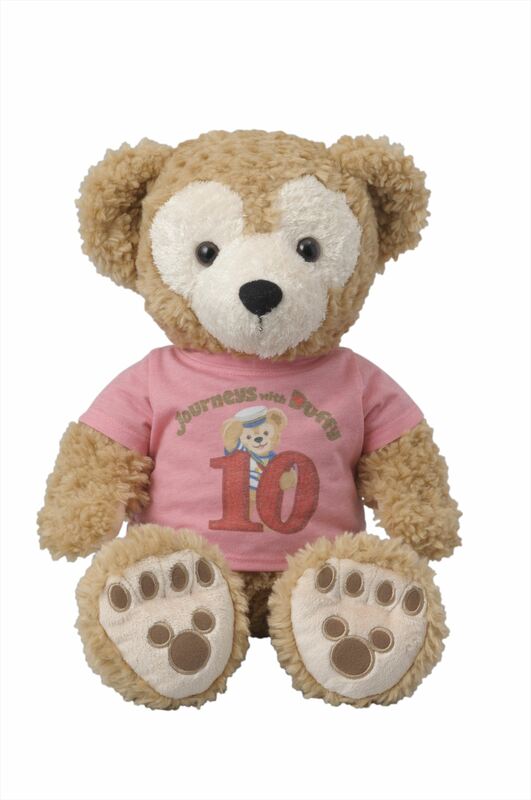 It’s nice to see Duffy doing so well. And continues to receive many exclusive costumes. At the moment, there are no plans for her to make it over to the other Disney Parks and Resorts in the US, but maybe if she continues to do well we can see her soon! 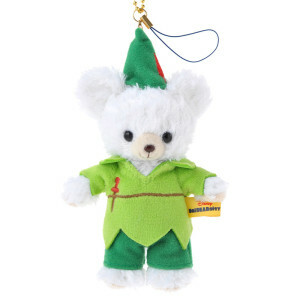 Maybe a line of Peter Pan bears will be next? 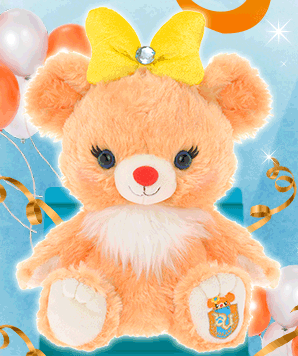 Her name is Apricot. I don’t think I’d get one myself, but she’s still pretty cute! To my surprise, a lot of people missed the site so I decided to go ahead and try to start this website up. 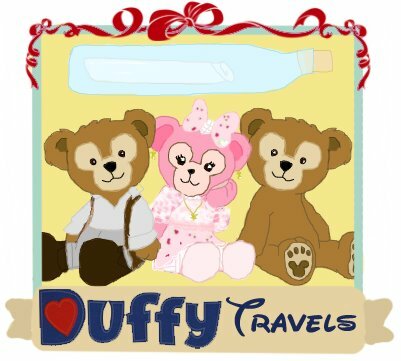 Originally, I thought maybe I’d just post on my main website from time to time–afterall, I’ve done an entry mentioning Duffy, Ahim, and UniBEARsity over there already. But then I realized maybe it’d be best to try and get this site up again. I found a nice theme to work as I don’t really have time to remake a new one from scratch, but I hope you guys like it! I think it fits Duffy quite well. 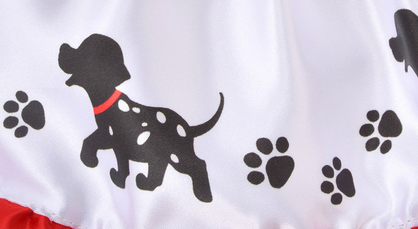 I also managed to get the logo picture back up. What would you guys like to see? Would you still like to see updates on news? Special item features? Let me know! I do think I’ll start incorporating Disney UniBEARsity into the site as well though due to some of the crossover between the to. Because it is absolutely adorable. I may need to see if I can get it at some point. If you have been following the facebook page, you may have learned that the server our website was on died. Unfortunately, the server host didn’t back-up anything as supposed to. Which means we lost pretty much everything. I…don’t have time to fix everything, sadly. And thus, I’m at a loss for what to do. All images are broken (and I no longer have most of them)–I do not have the layout on hand anymore either so everything is essentially a mess. So I apologize. I wish there was more I could do. 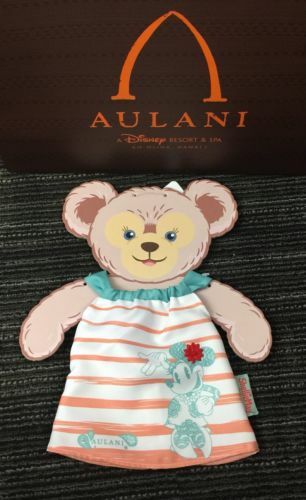 So first, another Duffy pin is out! It is one of 12 different pins part of a special Disney Set. 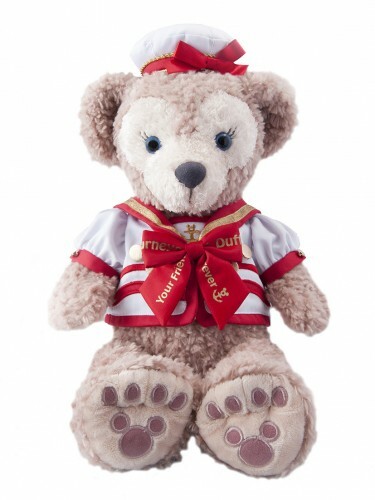 It’s nice to see Duffy paired with more general merchandise and it’s definitely quite cute. Besides that, rumors are appearing again on Shellie May coming to the US Parks. 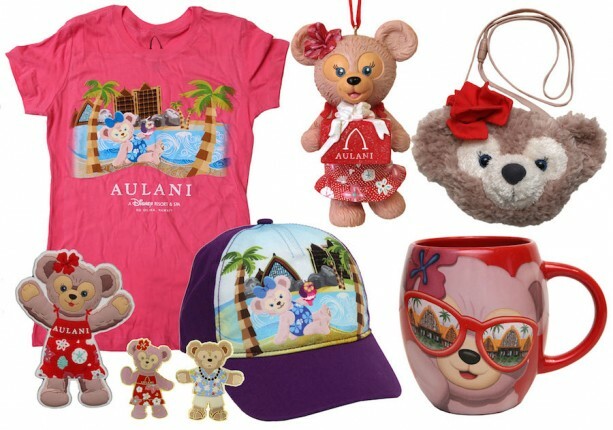 While the one about her being here by Christmas didn’t work out, apparently merchandise with her (or at the very least, her) will be coming around Valentine’s Day while she’ll be meeting in the parks with Duffy later this year. While I’d like this to happen, it IS just a rumor, so don’t get your hopes up too high just in case! 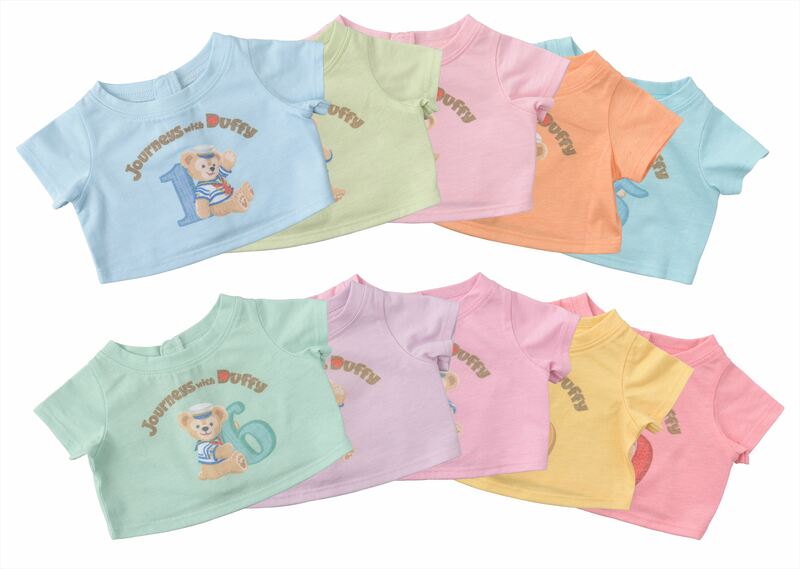 Has your Duffy been sad that he has nothing to sleep in? Well, you’ll be happy about this outfit most likely coming out soon in the US Parks! Posting on the Official Facebook, the base used is usually only for upcoming outfits 🙂 So hopefully we’ll be seeing this in Disney Land and Disney World soon! For those who have no idea what amigurumi is, it’s essentially crochetted plushies 🙂 Anyway, an awesome user on Etsy named OneLoveCottage recently made some of Duffy and Shellie May! You can buy them here if you are interested! They come as a pair and cost 40 dollars. The user will not remake them so if you really want them, be sure to buy them before someone else does! 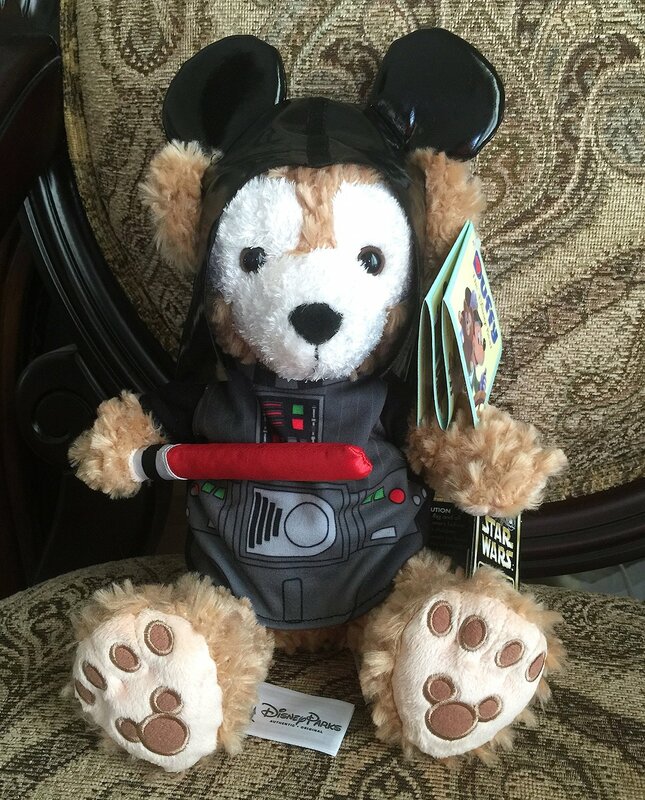 Of course, thanks to our friends at Le Fan Club de Duffy <3 (Be sure to visit their site for more photos!) I have to say, it’s really awesome to see just what Paris Disney is doing to celebrate Duffy’s arrival. 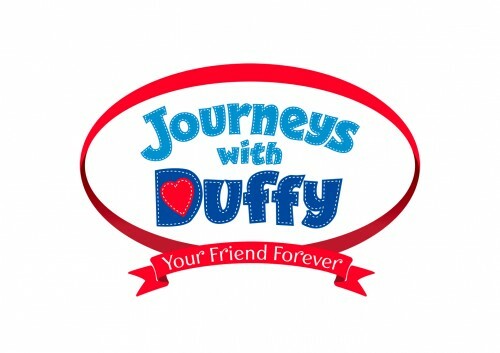 I do hope that keeps up and maybe encourages the US to embrace Duffy more as well. If there’s one thing I really love, it’s these displays. 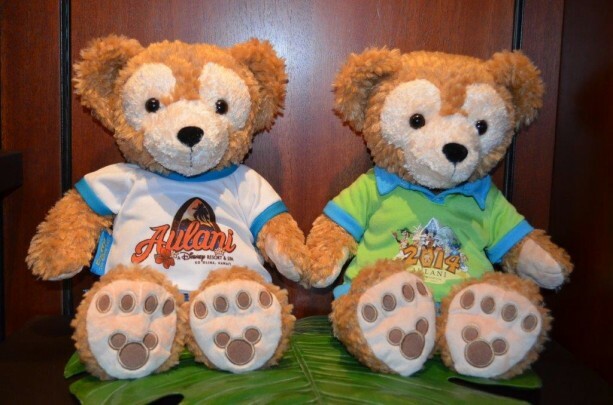 I’d love to see them interpreted into like a little closet or display case you can buy for Duffy, similar to some of the stuff on sale at Build-a-Bear. It’s nice to see some Christmas decorations still up 🙂 or maybe that’s just me and my love of Christmas 😛 Regardless, Duffy looks adorable in the trees and that little hat and ribbon on the smaller Duffy are also very cute! 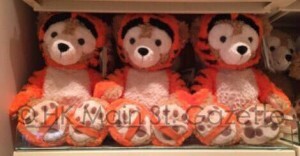 I kind of want to get those for my own Duffy. 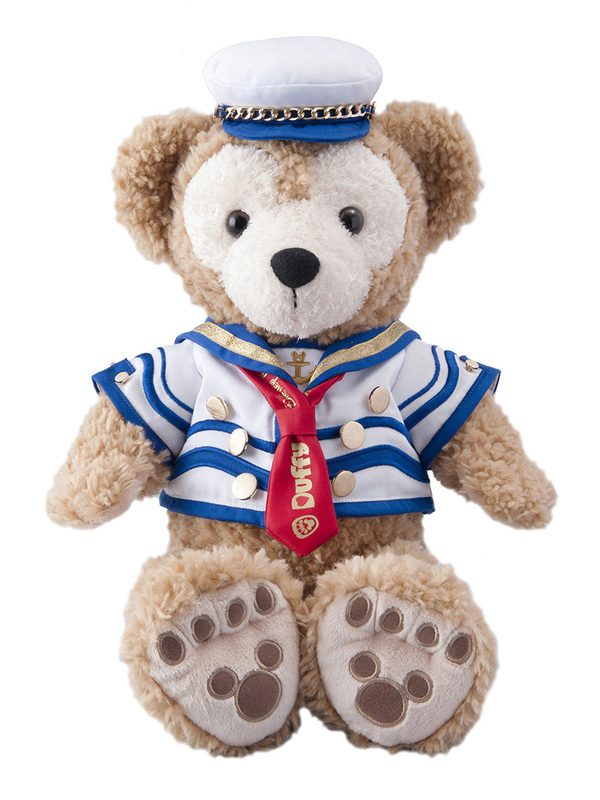 “Duffy now available at Disneyland Paris! Duffy was created from love and friendship especially for Mickey Mouse by Minnie Mouse. Together they travel the world and on returning home they share all their magical memories with Minnie. Disney Village also has gorgeous displays including the special OOAK Outfits for Duffy by various Fashion Designers. This Christmas season, Duffy the Disney Bear, Mickey Mouse’s new friend, finally arrives in Disneyland Paris after travelling the world. To celebrate his arrival, top fashion designers have created one-of-a-kind outfits especially for Duffy. These unique designs suggest a number of influences including childhood memories, travel and dreams. You are invited to preview these outfits before they are used to raise funds in an outreach operation. *Exhibition at the Disney Store of the Disney Village from November 14th, 2011 until January 8th, 2011. 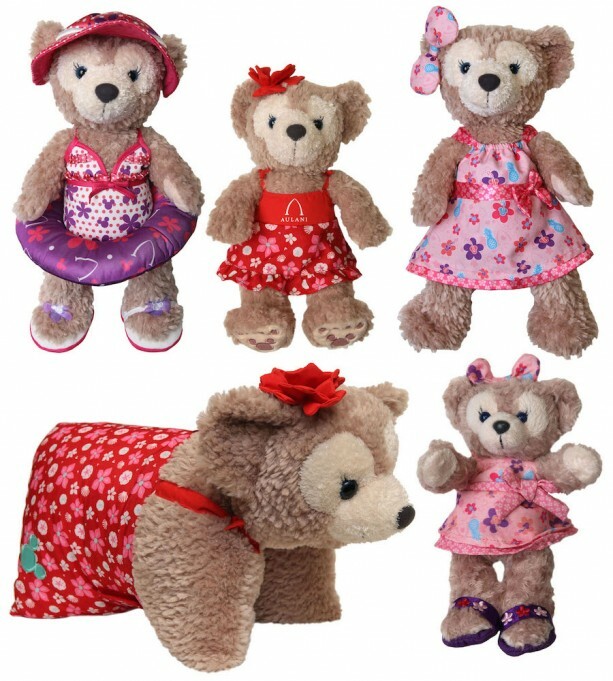 It’s really neat those outfits and bears will be auctioned off for some kind of charity 🙂 As for where they are holding these auctions… I wish I knew! While the one on the left should be in both parks, the pins on the right are most likely exclusive to Disney Land. It’s be really nice if these kind of things could continue. Duffy’s and Shellie May’s outfits for the event. While I don’t really care for the color combination of blue/brown, both outfits are very nice and feature various different parts to them which can be matched with other outfits, including last year’s set. New Cannery Co. Outfits + Be Magical Revisited! For those of you with money to spare, the next edition of Canney Co. Outfits have been released. Moving on, for those of you who may have not been too fond of “Be Magical” for the outfits not exactly being too wizardy, well….